I wouldn’t say I took life for granted, but I never knew how much I valued my life until it was almost taken away from me. It was 3 days before my college graduation and I was going to my father’s house to give him some graduation tickets. I pulled up to an intersection and stopped at the light. My fiance is sitting next to me playing a game on her phone. We had no idea that our life was about to be hanging in the balance. I slowly pull through the intersection and I could hear police sirens but I didn’t know where they were coming from. I look to my left and in the split second before things escalated, I saw police lights and then everything went dark. We were hit on the driver side door by a car being chased by the police. I closed my eyes on impact and when I reopened them, the car was facing a different direction, the door was caved in, windshield was shattered and air bags deployed. My fiance was unconscious in the seat next to me and my only thought was “Please God, please let her be alive”! Thankfully, she woke up but showed signs of a concussion. We both had cuts and bruises over our bodies. I managed to push my door open and limp to her side of the car to get her out. The police surround us and call the paramedics. They take us to the hospital and we were evaluated. They put us in separate rooms. The entire time I’m laying in the hospital bed, I’m crying and just praying and thanking the Lord that my life and more importantly, my fiance’s life wasn’t taken away. I was more concerned with her life than my own. I wanted to make sure she was alright rather than my own well being. We both were able to go home that night and live to see another day. Basically I’m writing this to say be thankful for the life that you have. Be happy that you are above ground and not 6 feet under. I don’t mean for this to sound grim but be thankful to be alive. Your life IS worth living. Things may be bad but the positive thing is that you are alive. Love and enjoy your life to the fullest, because you never know when your last breath will be. Also embrace the ones you love. Tell them you love them while they can still hear it. I want everyone reading this to feel loved and to feel as if their life matters. Pray to whomever it is you pray to and thank them for waking you up. Thank them for blessing you with the life that you have. Thank them for the trials and tribulations you are going through. If u are not religious, just be thankful that you are alive. My name is Jarrett Ruffin and I was Brandon’s teammate in Italy. I went to University of Mount Union (NCAA D3). Graduated with a degree in Computer Science. 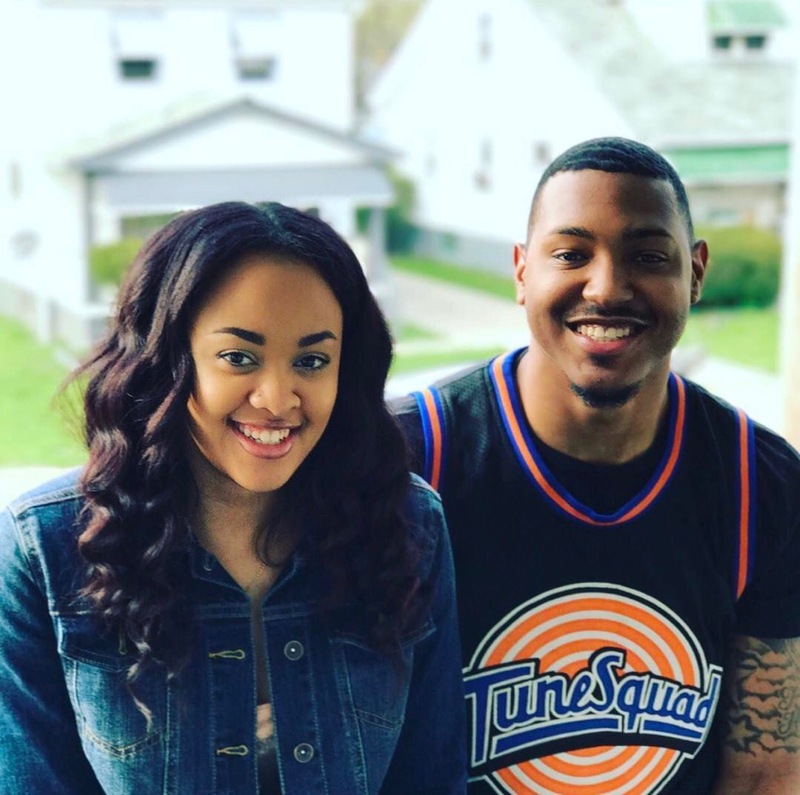 Jarrett and his fiancé are the first feature of many on this site! Hopefully their story touched you like it touched me. Crazy for me to think that this is family that I almost never met… I’m thankful to know these two! If you would like to be featured, please feel free to contact me! Previous Please, Share The Wealth!